It is becoming increasingly more common for couples to execute prenuptial agreements prior to getting married. The main reasons couples decide to execute a prenuptial agreement are to help reduce litigation in the event of a future divorce and to protect assets from their future spouse. However, just because you and your spouse enter into a prenuptial agreement does not automatically mean it will be enforced if you go through a divorce later on. There are several steps you should take to help increase the chances of your prenup being enforced at a later date. One common reason why prenuptial agreements are held not to be enforceable are on the basis of fraud. This typically stems from a judge finding that one spouse did not accurately disclose their assets to the other spouse at the time the agreement was signed. This may mean they undervalued an asset or left it out of their disclosure entirely. To avoid this problem, both spouses should disclose lists of their known assets and income to the best of their knowledge in a truthful and transparent manner. If possible, the spouses should also provide accurate copies of documents supporting their disclosed assets and income, including but not limited to, income tax returns, W2s, and account statements. 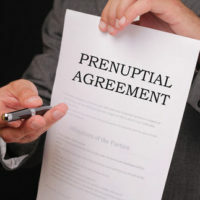 Another common reason prenuptial agreements are not enforced is because they are “unconscionable.” A judge will determine a prenuptial agreement is unconscionable if they find it is so one-sided that a reasonable person would not have entered into the agreement. One factor a judge will look at in determining whether either of you was rushed or forced into signing your prenuptial agreement is how much time there was before your wedding. If you wait until the week before to sign the prenuptial agreement, the judge may later find there was not enough time for the parties to understand the terms of the agreement. Both spouses should hire their own lawyers who they are comfortable with and ideally, who are not close friends with their spouse. If you hire your future spouse’s close friend, the Judge may find that he didn’t have your best interests in mind when signing. Prenuptial agreements can only address a certain set of issues, primarily surrounding asset protection. It cannot address anything relating to child support or custody of future children. Any provisions that try to address these issues will be ruled unenforceable by the court. If you are going forward with drafting a prenuptial agreement before your marriage, you should take some steps to ensure this agreement is enforceable. 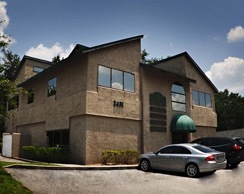 The experienced Winter Park family law attorneys at Cotter & Zelman, P.A. can help prepare and/or review the agreement with you and explain the various provisions to ensure it will be enforceable if challenged later. Contact us today for a free consultation.